The compactness of Frostgrave, both in terms of the size of the play area and the amount of stuff you need to play, is one of the things about the game that appeals to me most. 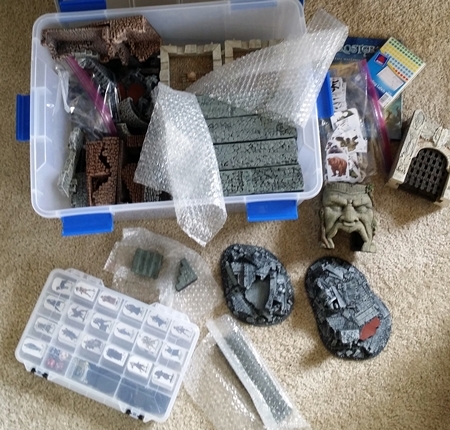 I started with none of what I needed, and went from “zero to Frostgrave” pretty quickly. 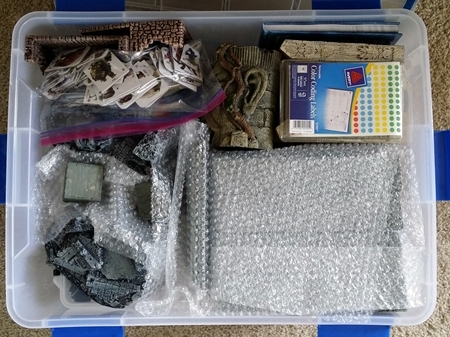 As I picked up pieces of terrain, played with sample layouts, and thought about how to maximize my budget, I kept another end goal in mind: I wanted everything for the game to fit into a single box I could toss in the truck and take to gaming venues. I came pretty close! It ran me about $20 locally, and it’s one hell of a sturdy box. It includes a foam seal that’s supposed to keep out moisture (handy in Seattle), and I like that it locks in six places for a snug fit. We’ve got some holiday decoration storage tubs that only have two latches, and they don’t hold up all that well. 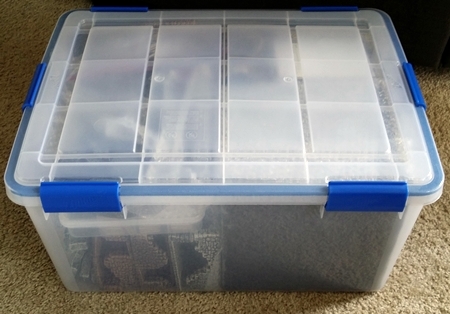 I also like that its more squared-off than a lot of similar boxes. 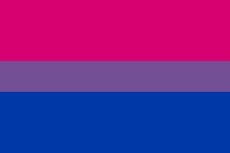 Sometimes they have deeply curved corners, bulges on the bottom to facilitate stacking, etc. that cut into the usable storage space for terrain. This sucker can swallow a lot of stuff. Inside are three big pieces of Battlefield in a Box terrain, an aquarium decoration, a Plano box full of Pathfinder Pawns (plus a sidecar baggie of monsters), three Mage Knight Castle pieces, a ton of War Torn Worlds rubber terrain elements, the rulebook, some stickers for the pawns’ bases so we identify who’s pawns are whose, four custom “risers,” a little bridge and some stairs, and a big baggie full of Legendary Realms clutter to round things out. I’ve finally got everything I need to actually set it all up and take some photos of my Frostgrave. When I do, I’ll include an itemized list of what goes into my take on Frostgrave to help folks track down things they might like to include in theirs.